The International Shuaijiao Martial Arts Association is a worldwide collaborative charitable and educational non-profit group that facilitates communication and cooperation between organizations who share our passion to promote Shuaijiao and other various martial Arts. 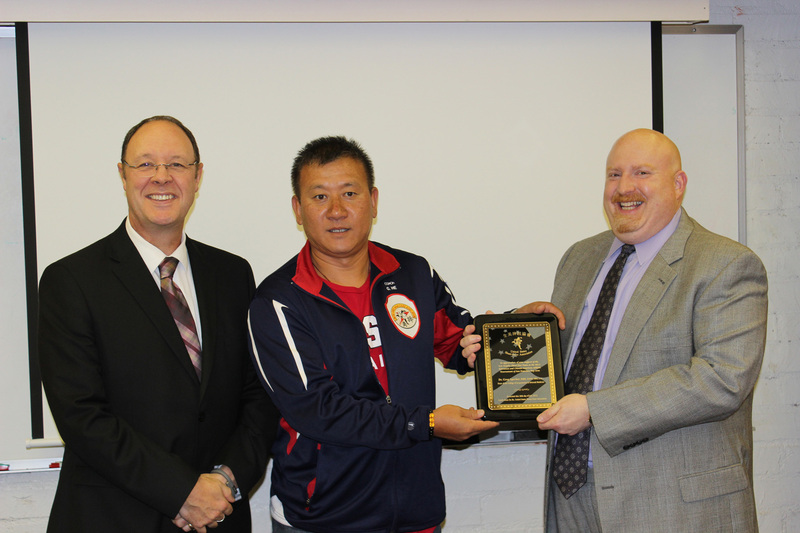 Coach He Guanda began learning Chinese Wrestling at the age of 9. Within a year he placed first in the Youth Chinese Style Wrestling Contest. In the following eight years he would win first place five more times. Afterwards, he went on to wrestle in the National Wrestling King Championship, placing gold 12 times over the next 17 years. In America, he won the Shuai-Jiao Heavyweight Division in 2006. Besides an illustrious career as a wrestler, Coach He Guanda has also spent many years training members of the National Chinese Style Wrestling Team, and of the United States Shuai-Chiao Team. In 2013, he led the US national team to place 3rd in the world in a tournament held in Yi Xing, China, winning against 24 other countries. Coach He currently resides in southern California and is leading the Los Angeles Shuai Jiao Team.